You could help make transit better in East Portland, Gresham, Fairview, Troutdale and Wood Village! 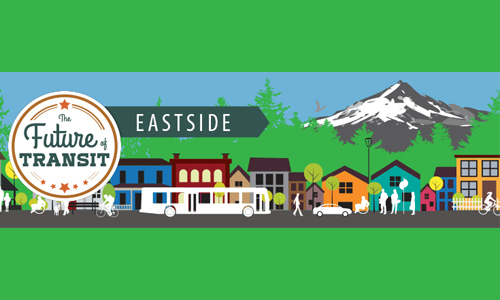 By taking a brief survey about the transit system you'll be providing much needed information to make future transportation easier for everyone on the Eastside. Bonus points: Complete the survey by July 17th and you could win 10 Adult 1-Day Passes! Learn details about making transit better on the Eastside below. Through the end of 2015, we are asking for feedback and ideas for improving bus service, bus stops and street crossings in the communities of East Portland (generally east of I-205), Fairview, Gresham, Troutdale and Wood Village. As part of our Eastside Service Enhancement Plan, we are holding a series of community conversations and conducting surveys to gather feedback from riders, community groups, businesses and other stakeholders.